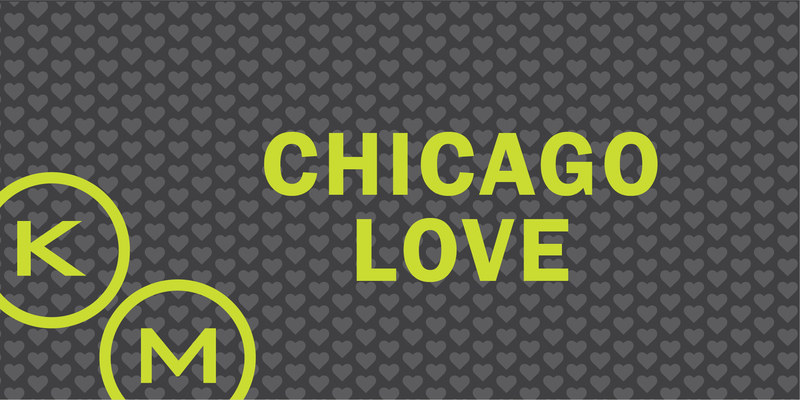 This Valentine’s Day, we’re taking you around the Windy City to celebrate! Whether you’re with your best friend, bae or squad, we compiled the best of what Chicago had to offer (all Cupid-approved too). After spending all of February 13th, Leslie Knope’s official holiday, enjoying brunch with copious waffles, it is time to treat your girlfriends to a night out. What better way to celebrate all things women than hitting the dance floor to an endless stream of Queen B? At Sidetrack the Video Bar, there is no cover and your clique could win prizes in their All Things Bey Contest. How better for you to slay the day? Valentine’s day might be the day you are looking for something other than a Wi-Fi connection, if that is the case, try Raised Bar’s “No Date Required” Party. You can take in the city view while enjoying one-of-a kind cocktails and decadent desserts. Even if the fellow guests are a bust, it counts as a sweet date with the city! Whether by choice or by design, spending the day with your friend can still be a blast – and quite a bit cheaper as well! Use your lack of obligation to hit the Lincoln Park Zoo, and then grab a low-key dinner at Bar Siena, where you can opt to have your pizza in heart-shaped or…maybe just some spaghetti instead depending on how it’s going. There’s no reason Valentine’s Day should be limited to twosomes, so give your favorite couple friends a call and make the occasion a double date! Take your foursome out on the town to Marshall’s Landing where you will get a great view along with a sampling of Koval’s signature whiskey; top that off with perfectly paired bites and cocktails! What better way to stoke the fire in your relationship than literally stoking the fire – take your date to an amazing experience blowing glass at Ignite Studios. Each couple works alongside one of their artists to create a one of a kind glass heart, with the addition of sparkling wine and chocolates to really make the experience sweet and complete. Love is in the air – but it is Wednesday and you are saving your big event for the weekend when work is not looming over you the following morning. To let the night pass without event might not be appealing to you – but fear not! Mon Ami Gabi is partnering with GrubHub to provide those staying in with delivered romance; you can receive a 7-course sharing menu plus candles! Valentine’s Day is not the only day Chicago delivers exciting opportunities – KellyMitchell offers some exciting Chicago opportunities too! To find our open positions in the Chicagoland area and around the country, click here!